There’s never a dull moment at Yahoo. The company is in the news daily with rumors about who will purchase it, what Marissa Mayer is up to, and it’s been like this for years. You can imagine it might affect the employees who work at Yahoo from day to day. 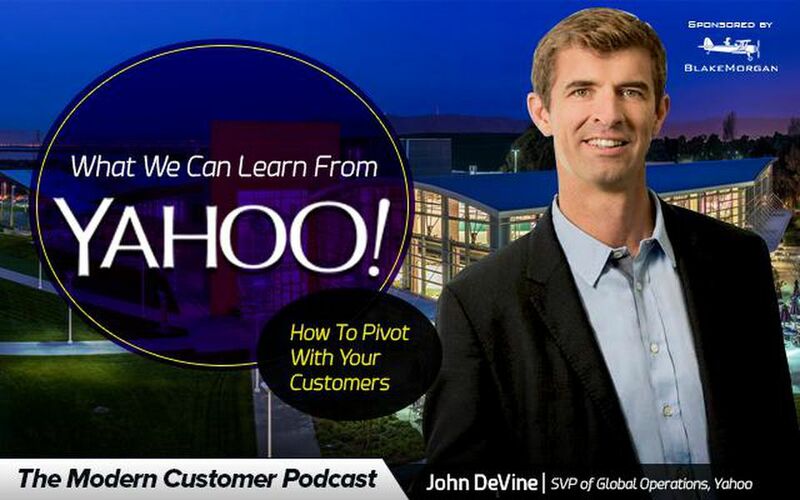 However, according to Yahoo’s SVP of Global Operations John DeVine, that is not the case. With a redefined approach to customer care, that is directly impacting the development of Yahoo’s core products. Instead of just being reactive to user problems, this program is designed to channel the feedback, wants and needs of 1 billion-plus users to product teams in a meaningful way that leads to material changes. Today’s guest on The Modern Customer Podcast John DeVine is leading the effort of enriching the company’s product roadmap through user feedback.